Jazz Australia is the national online magazine for contemporary Australian jazz and improvised music. Jazz Australia is the nations oldest and biggest jazz news website. It provides all the latest gig reviews, musician interviews and up to date information about contemporary jazz in Australia. Having an identity and website that reflected it’s heritage, was paramount when they asked us to rebuild their site and rebrand their look. The logotype needed to reflect it’s roots and the relationship with the music they covered. This rythmic nature and flow is reflected through the epicentre that Jazz Australia is, and the subtlety of the country’s shape forms the outline to it’s boundaries. The 90º rotation of the shape adds a dynamic that will endure the new look. 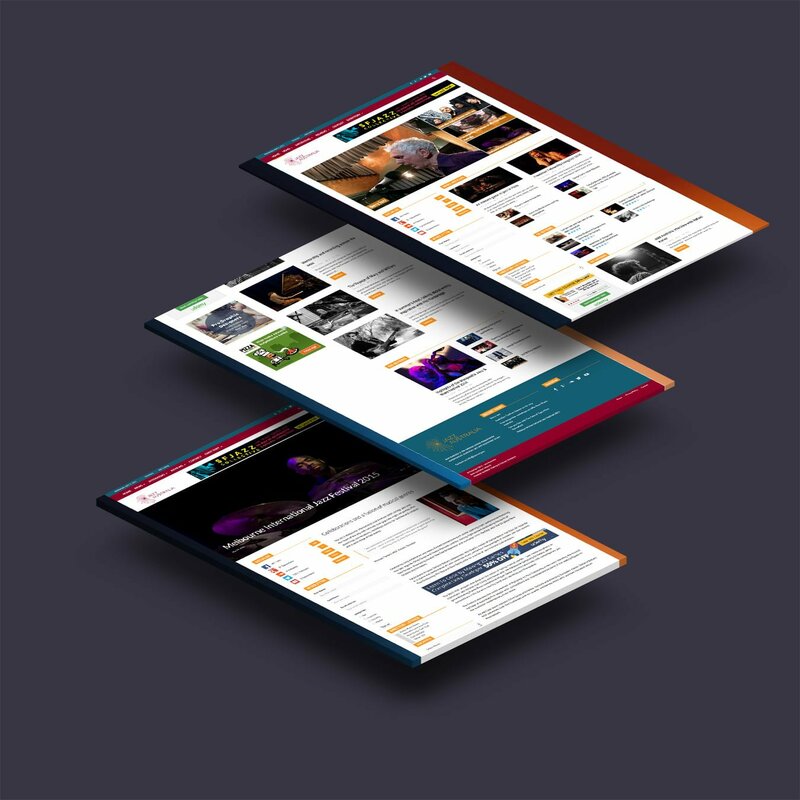 In addition to the new site and the rebrand, Jazz Australia has formed a unique partnership with a couple of our other projects, TheJazz.Directory and JazzCalendars.com, both of which are part of the Jazz Interlude umbrella. We built the directory part exclusively for them and will form part of the global Jazz Directory due to launch soon. We are currently working with them to add the gig listings service JazzCalendars.com as part of our new and long standing relationship.